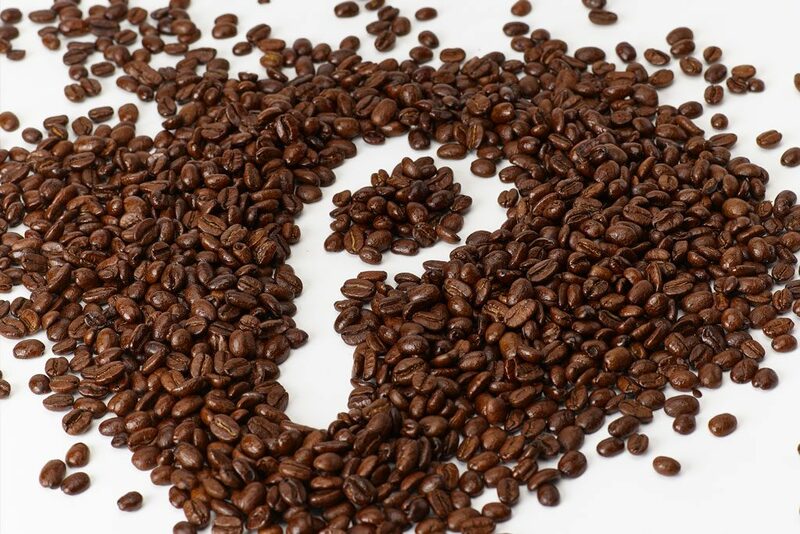 This requires the support of all coffee shops, manufacturers, waste companies, local authorities and customers to each take responsibility in order to have an impact on this global issue. Our paper cups come from card made of sustainable wood pulp from Northern Europe and our cups are recyclable. 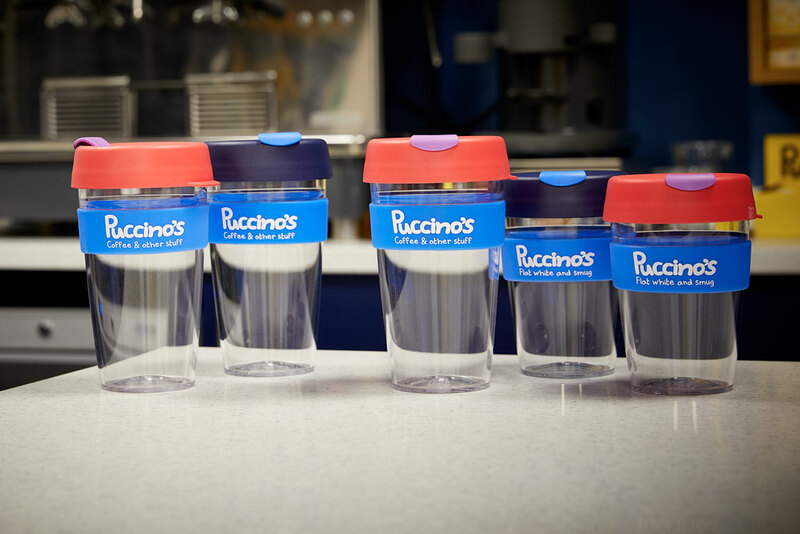 Puccino’s sites are generally located at travel locations, at the start of our customers’ journeys which presents a challenge in how our cups can be recovered. We anticipate that one day recovery will become more readily available, but until that time we work with our industry partners to make use of all coffee companies stores where any Brands coffee cups are welcome to be left where they will be recovered for recycling. We continue to support and work with the innovators in this sector who manufacture our cups and we continue to remain open to sustainable changes. We are proud to partner with KeepCup to offer a reusable solution for customers to purchase which can be used time and time again. 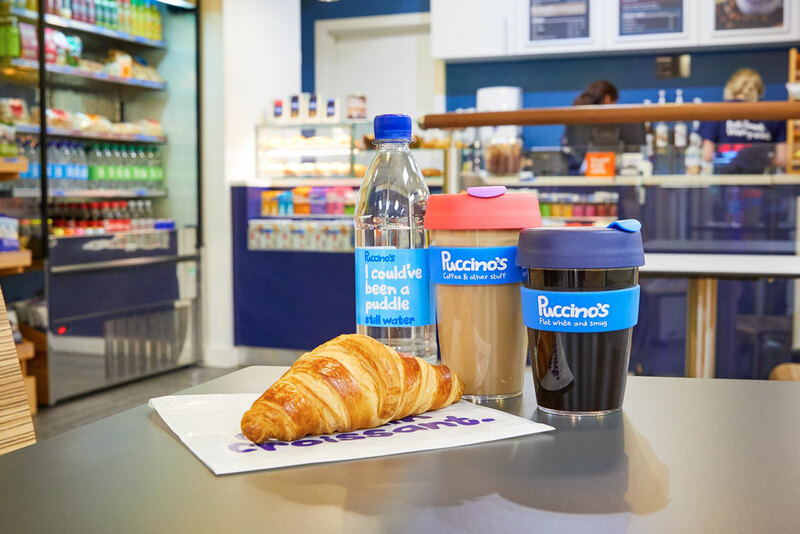 Our reusable cups receive a 25p discount on every drink purchased. Reusable KeepCups will help us all reduce waste. This is an important topic for everyone, and we are no exception. As a business we will not be reactionary in change as this does not help tackle the issue. Instead we have developed a sustainability strategy where we will continue to explore the changes the industry, public and of course we need to make. Our commitment is to be 100% material responsible for every product we handle by 2025. This will be achieved through a planned approach of reducing single use plastic (SUP), reuse and recycling. 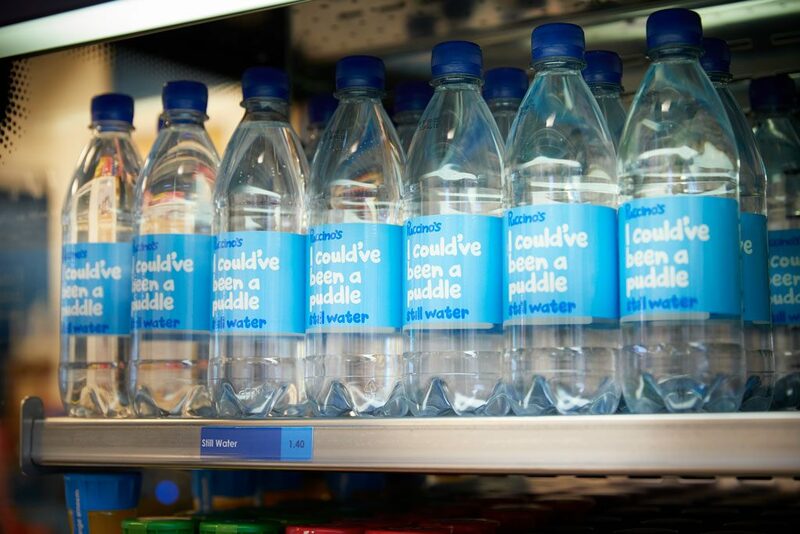 Our water bottles are PET which can be recycled back into bottles, roads and other functional products. We continue to reduce where possible other plastic products such as cutlery which we have changed to a sustainable wooden product and straws which have moved over to paper. Our Supply chain policy for offsite prepared products requires all suppliers to work towards decreasing their impact on the environment. It may not be feasible for 100% of products to move away from plastic so we offer the option to donate to the charity Social Plastic for each product sold. The Social Plastic Foundation is a charity established to support, enhance & grow the world’s Social Plastic recycling ecosystems. These are recycling communities in developing regions that utilise The Plastic Bank’s recycling reward & incentive platform to improve livelihoods while preventing ocean plastic. Did you know that used coffee grounds can be used to help fertilise your garden plants? All of our locations offer a free coffee grounds collection service. What to do? Bring in a reusable container at the start of your day and on your return journey pop in to collect your container. Ground used coffee is also a great deterrent for slugs and snails.